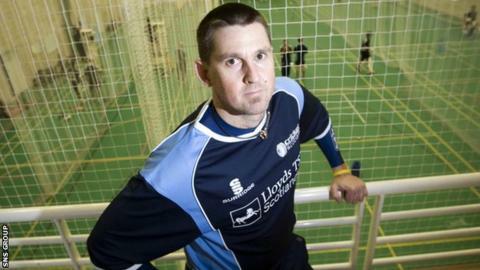 Head coach Peter Steindl is to part ways with Scotland following last month's failure to qualify for the World Twenty20. Scotland came seventh in the 16-team tournament in the United Arab Emirates, with the top six progressing to next year's finals in Bangladesh. Hong Kong and Nepal were among the teams to finish above the Scots. Steindl, 43, has been in the post since December 2007 but Scotland have not been to a major finals since 2009. The Australian, who was in Scotland's 1999 World Cup squad, has overseen three consecutive failed qualifying campaigns. And Cricket Scotland are expected to announce his departure on Thursday. Earlier this week, Scotland named a 15-man squad to compete in the 2015 World Cup Qualifying tournament in New Zealand in January and February. Scotland face Hong Kong, Nepal, United Arab Emirates and Canada in Group B of the 10-team event, with two places at the finals in Australia and New Zealand up for grabs.